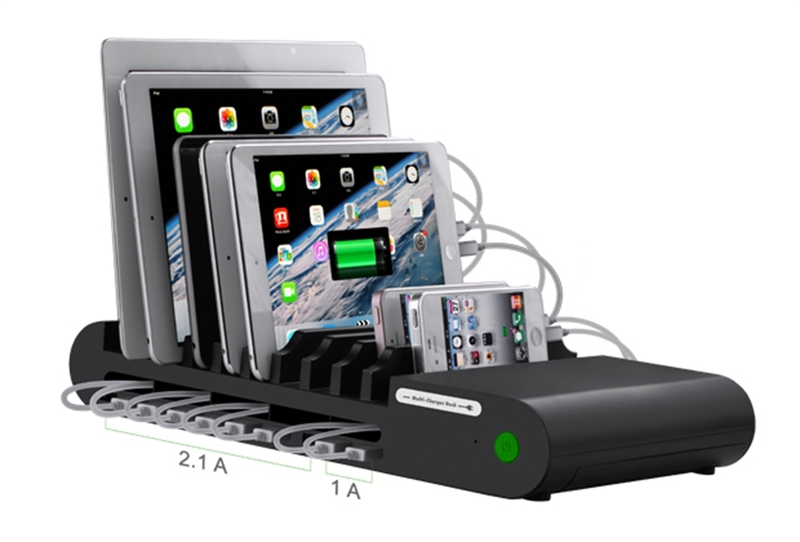 HamiltonBuhl's award-winning LTT-10 USB Charging Station charges up to 10 devices simultaneously! Perfect for the keeping your devices fully-charged and in one, easy to locate place. This award-winning product was found to be very affordable and was praised for it's sturdy construction by Tech & Learning judges at the ISTE 2015 Show. Each device slot is approximately 0.65"
HTC, Microsoft, Huawei, Nokia, Kindle, Sony Ericsson, Nexus, etc. 5V/2.1A ports are compliant with the majority of tablets such as Apple, Samsung, Lenovo etc.